Larson students Emiliano Colín, Aleksander Dordevik and Vishal Chandu are on a Destination Imagination team together. 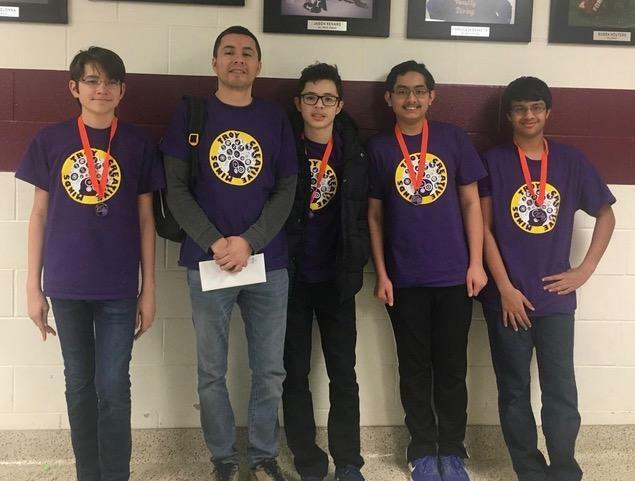 They placed 2nd at the Regional tournament on 3/2 and will advance to the state tournament at MSU on 4/13. Competing in the Technical Challenge, this year they were required to design and build an aircraft that takes off, flies, and lands. They also had to drop off an item they created to a specific target. Congrats to all and good luck at States!